I cannot believe ten years ago today was the day of such terror that hit New York and all Americans. Today, on September 11, 2001, is a day no one will forever forget. Everyone I know, remembers what they were doing, where they were and the events of the day. 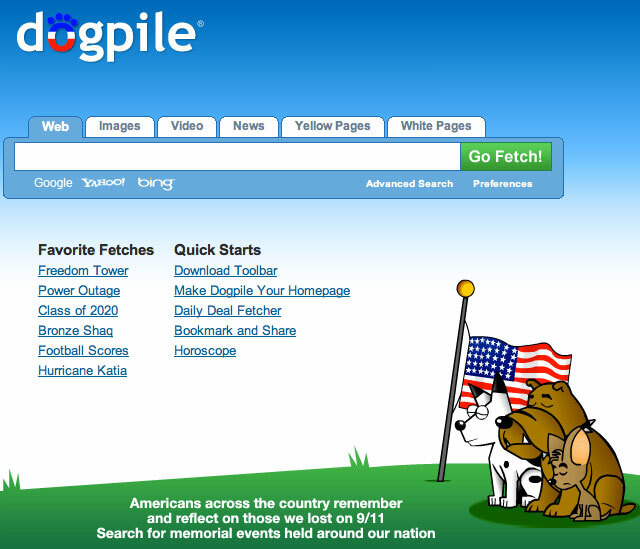 To remember 9/11, this year, Google, Bing, Yahoo, Dogpile, Ask.com and other search engines have special logos, themes and messages to remember the day and the Americans lost that day. Google has a small black ribbon with text that reads "Remembering September 11th" linking to a blog post. 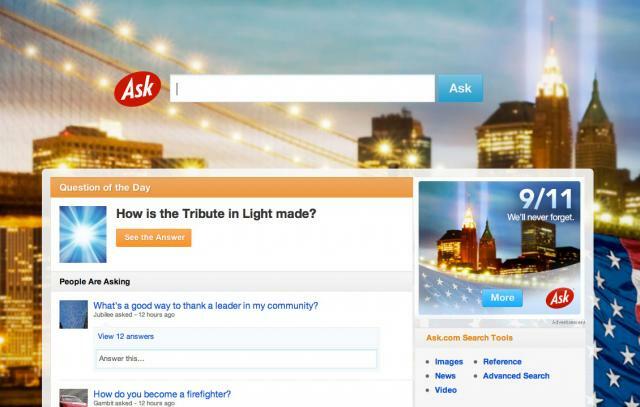 The search industry has typically done special logos or themes to remember the horrific day. Here is the 2010, 2009, 2006. I do not have the other years here. Now, a lot of you ask why not a Google logo? Google does not do logos for sad occasions. 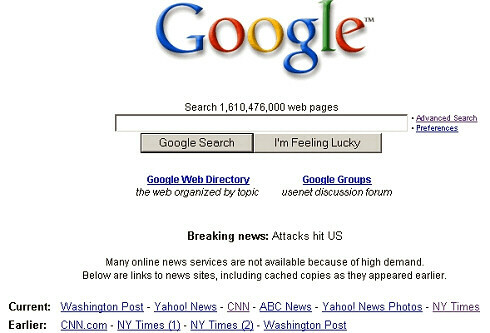 Forum discussion at Google Web Search Help & Google Blogoscoped Forums.